The Larry O’Brien Trophy Brings All It’s Glory and Prestige to The Lone Star State! 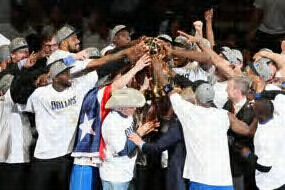 The Dallas Mavericks are the 2011 NBA Champions! 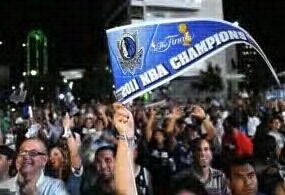 The Mavericks defeated the Miami Heat in game 6 of the NBA Finals to win their first title in franchise history. After trailing in the series 2-1, the Mavs won the last 3 games of the series to win 4-2. As predicted by me in my NBA Finals preview, the Mavericks were just a better around team and took the series in 6. 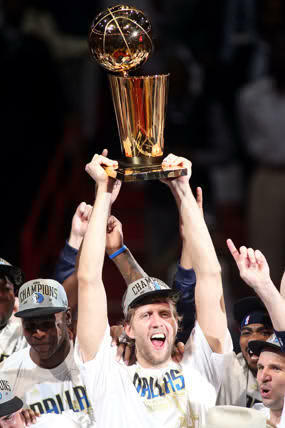 Dirk Nowitzki who started the game shooting 1-12, scored 10 of his 21 points in the fourth quarter and was name Finals MVP. For the series Nowitzki averaged 26 points and nearly 10 rebounds a game. 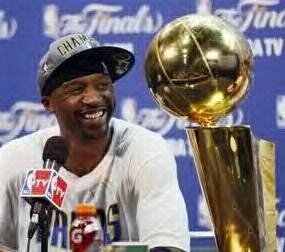 Jason Terry was the game’s high scoring, pouring in 27 points off the bench. After declaring that LeBron James could not defend him for 7 games, The Jet took off and backed up his rhetoric. Jose Juan Barea, the Northeastern University product, scored 15 points and made coach Rick Carlisle look like a genius for inserting him into the starting lineup after game 3. Shawn Marion scored 12 points tonight, but his true value was on the defensive end. 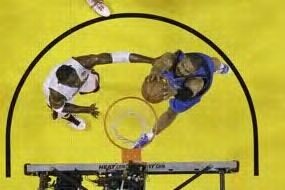 Marion was able to make life difficult for LeBron James all series and took him out of his comfort zone. The unsung hero for the Mavericks this series and all season long was Tyson Chandler. Chandler is Dallas’ defensive leader in the paint and is a monster on the boards. 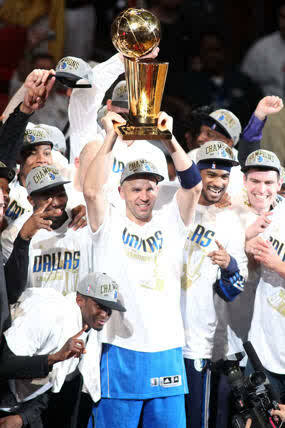 Lastly, Jason Kidd, the old man on the team finally gets his ring. Whether it was his composure down the stretch or timely three-point field goals, Jason Kidd steadied his Mavericks team and is now a NBA Champion. 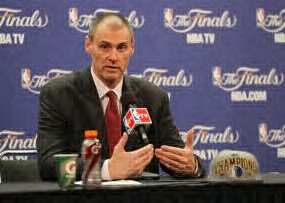 Coach Rick Carlisle should be commended for making all the right moves and installing a culture of defense to the Dallas Mavericks. Owner Mark Cuban talks a big game, but now his team is atop the basketball world. 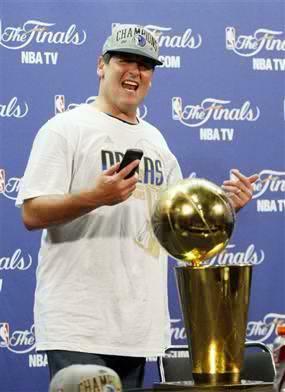 Previous Previous post: Dallas Mavericks 2011 NBA Champions!